Plans to shut down tent cities in California and relocate homeless people to government-run facilities have stoked fears that the move could be a pretext for a wider internment of Americans in the event of a total economic collapse. “California Governor Arnold Schwarzenegger said a make-shift tent city for the homeless that sprang up in the capital city of Sacramento will be shut down and its residents allowed to stay at the state fairgrounds,” reports Bloomberg News. Homeless people will be moved to the the state facility known as Cal-Expo as the Sacramento City Council last night agreed to spend $880,000 to expand homeless programs. That “permanent solution” has some people worried that many more Americans could be interned against their will in the event of widespread rioting and the implementation of martial law. Legislation currently working it’s way through Congress mandates the establishment of “national emergency centers” to be located on military installations. The purpose of such facilities is to provide “temporary housing, medical, and humanitarian assistance to individuals and families dislocated due to an emergency or major disaster,” the expansion of which under FEMA is codified under HR 645, otherwise known as the National Emergency Centers Act. The issue of containment camps re-gained national attention three years ago when it was announced that Kellogg, Brown and Root had been awarded a $385 million dollar contract by Homeland Security to construct detention and processing facilities in the event of a national emergency. Beginning in March, Modesto police will be able to arrest people digging through garbage cans under a new ordinance the City Council approved Tuesday night. The measure passed by a 5-2, vote, with supporters saying it would give police a tool to detain and search Dumpster divers for signs of attempts to commit identity theft. Police further said it could be used to reduce blight. Council members Janice Keating and Will O’Bryant voted against the proposal, calling it repetitive to provisions written in Modesto’s municipal code and excessive. • Launch a search for a contractor to sell the city a security camera system for downtown. The city expects to spend about $400,000 in redevelopment funds on the cameras and equipment that would enable the Police Department to monitor downtown. The ordinance allows police to charge Dumpster divers with a misdemeanor offense, a $500 citation or both. Officers received 105 calls about people scavenging in garbage cans from March to October. Her husband was a victim of identity theft after someone recovered financial information he left with a brokerage firm from a commercial garbage bin. “It takes a lifetime to build and maintain good credit, and only about five minutes to throw it all away,” she said. More than a dozen residents spoke in favor of the ordinance in the four-hour meeting, citing concerns ranging from identity theft to frustration with spilled containers to health risks. “I would hate to see one of the kids doing the right thing and picking up a piece of trash and getting a disease,” said Jennifer Fife, 33.Three people who opposed the ordinance called the fears exaggerated. “Just because someone is going through your garbage does not mean they’re trying to steal your identity,” said Pauline Black, 26. 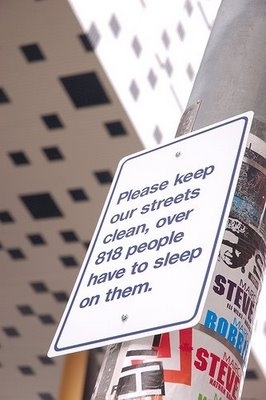 Keating insisted the city’s municipal code already contains prohibitions against rummaging through someone’s trash. The code allows the offense to be punished as an infraction with a $100 penalty, although officers would have to demonstrate the garbage was “salvageable” or “recyclable” before enforcing the code. Keating said she would prefer to amend that code instead of amplifying the penalty to a misdemeanor. “We don’t have to go from 0 to 80 in one fell swoop,” she said. But the majority of her colleagues wanted to give police the option of arresting people who don’t respond to citations, or of searching someone. Those choices would not be on the table if Dumpster diving remained an infraction. Councilman Garrad Marsh, owner of McHenry Bowl, said people rifling through garbage cans can be a nuisance at his business. He was skeptical that the new ordinance would curtail Dumpster diving, but felt it could be helpful. In other business, the council unanimously passed a related ordinance that enhances penalties for drinking alcohol in public parks without a permit. Like Dumpster diving, drinking in parks is an infraction in Modesto’s municipal code. The council’s vote designates the offense as a misdemeanor, punishable by $500 citations and time in jail. Officer John Habermehl said the heightened penalties would allow police to arrest serious alcoholics and steer them to treatment through the courts. Two laws police could use for the same purpose come up short, he said. One, a city code, establishes drinking on a public street as a misdemeanor. The effect of that ordinance is to create a “safe haven” in parks, Councilman Dave Lopez said. The other law, a state code, would require someone to be demonstrably drunk before police could make an arrest. Habermehl said that provision blocks officers from detaining someone after a first or second beer. Both ordinances require another vote from the council before they can take effect. Those votes typically are procedural, but residents will have another chance to speak about them in about a month. Bee staff writer Adam Ashton can be reached at ashton@modbee.com or 578-2366.